Google recently released an app called Family Link, that helps parents to monitor their children’s mobile phone usage. This amazing Family Link app is programmed or developed by Google in order to provide weekly and monthly report to parents based on their children’s phone usage. Can it be like onstar family link apple, let’s find out below. In a nutshell, family link app helps parents to monitor their kids’ phone usage. And it can take effect, only when the app is been installed and set in the kid’s phone. So the app automatically start doing its work by keeping tracks to the child activities while using the phone. Some of the activities include; on screen time, the sleep time, the application in which the kid used and so many more. As it enables parents monitor their children’s activities with mobile phone, it also helps parents set time; that is, how long they want their kids to use their smartphones. And as well provides option to parents for setting up their child’s first Google Account. “When your child is ready for their first Android device, Family Link lets you create a Google Account for them, which is like your own account, and also set certain digital ground rules that work for your family, like managing the apps your kid can use, keeping an eye on the screen time, and setting a bedtime on your kid’s device”. So having read that above, you will understand that, the family link app helps parents to lock their children’s devices exactly when it is time they want their kids to do other important things like studying for academic purposes. This also go a long way in helping them filter unwanted content from Google's app like chrome browser. >> You Can Now Steam Video Attachment On Your Gmail Account Without Downloading It - click to see how. The app is actually meant to work for both parents and their kids, using Android devices. So, that of the parent's android has to be a 4.0 version and above, while that of the child Android version, must have at least Android 7.0 (Nougat), which happens to be the trending OS for mobile devices. 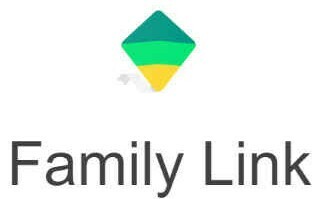 Where Can I Download Google Family Link Application? You can download the app from Google Play, but as it stands now, it’s yet to be released by Google.